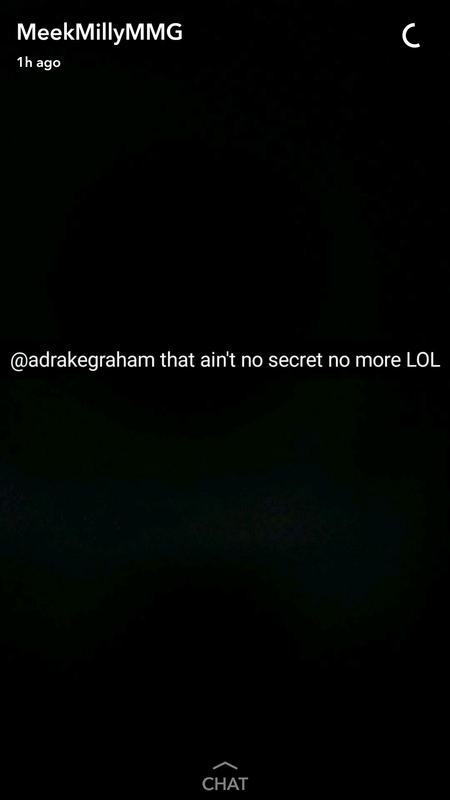 Is Drake secret Snapchat handle finally out? Meek Mill appears to have leaked Drake’s secret Snapchat account after throwing shade at the rapper’s reconciled relationship with Nicki Minaj. Taking to Snapchat, Meek posted a picture of Drake and Nicki Minaj together alongside the caption: “That n*gga can keep her LOL. 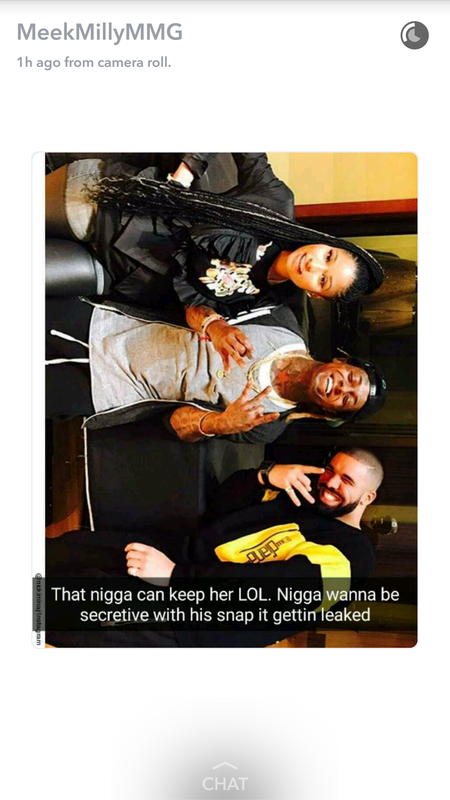 Meek then followed up with another post appearing to reveal Drizzy’s secret Snapchat handle, alongside the message: “that ain’t no secret no more LOL”. Drake has famously kept the identity of his Snapchat highly secret, despite a number of clips leaking online. It’s not currently sure whether that is the real username. Nicki Minaj publicly announced the end of her relationship with Meek Mill last month, following reports of a huge argument while on holiday in Turks and Caicos. Meanwhile, Drake appears to have made up with Nicki Minaj following his feud with Meek Mill. The pair, who stopped speaking while she was in a relationship with Meek, took some pictures together alongside Young Money boss Lil Wayne. There are rumours that the trio are working on music for Nicki Minaj’s upcoming album, which is set for release this year.